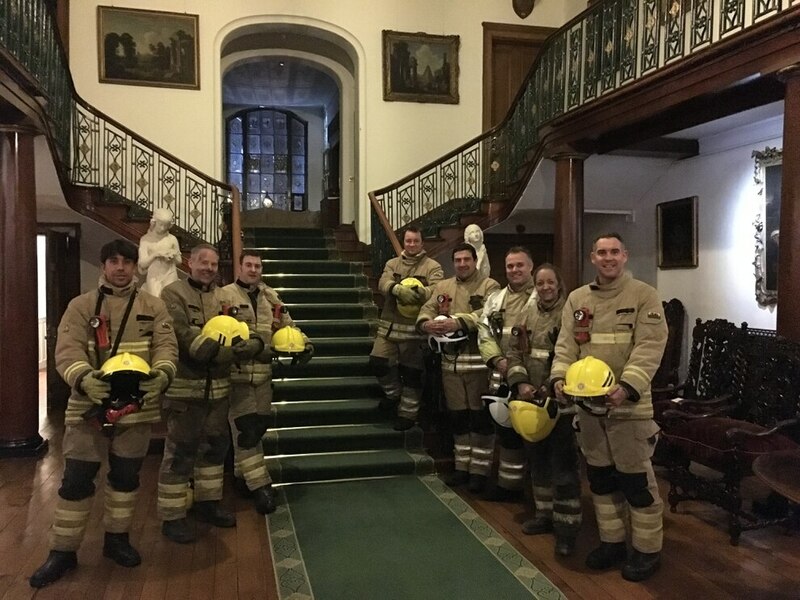 Firefighters saved a priceless library and prevented a chimney fire spreading through an historic hall. 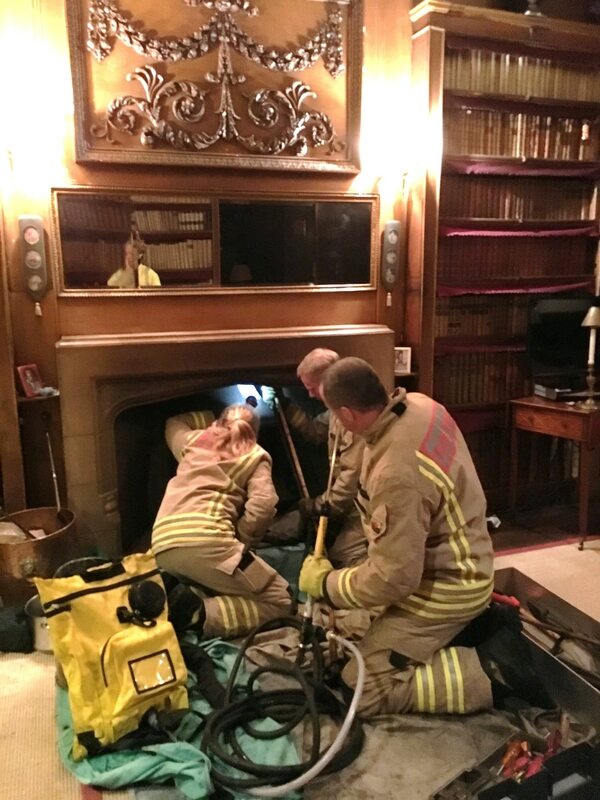 Iain and Kate Hill-Trevor were alerted to the chimney fire by the alarm system in the 400-year-old Brynkinalt Hall on the Shropshire/north Wales border and noticed smoke seeping through the wall in one of the rooms. Fire crews from nearby Chirk as well as Llangollen and Wrexham were quickly on scene after the alarm was raised just after 9pm on Wednesday. 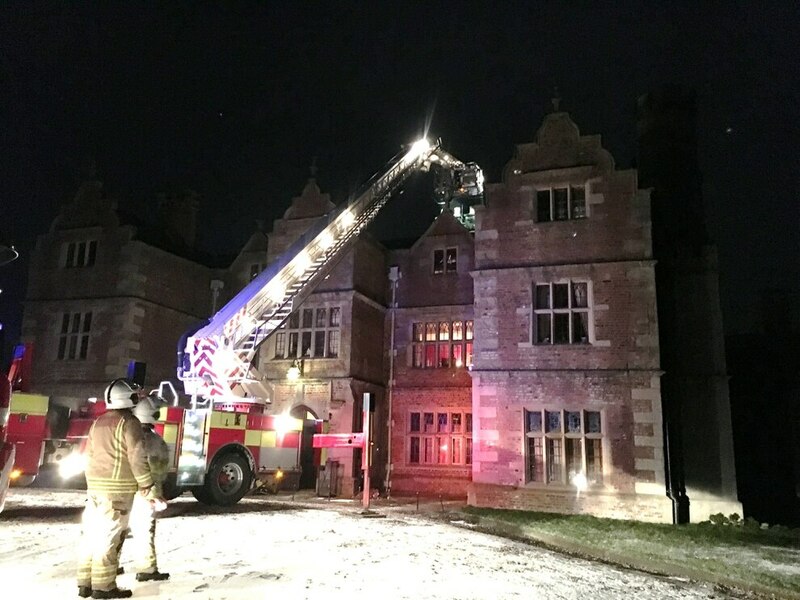 Firefighters had to use their highest turntable ladder appliance to reach the top of the chimney of the Grade Two star listed hall to attack the fire from above. Other crew members worked in the fire hearth in the library and others from an access door on the first floor. Mrs Hill-Trevor said: "We use the library as out sitting room and we in there when the alarms in the building sounded. When we investigated we noticed smoke coming through to wall of another room and realised it was in the flue from the library chimney. We were very lucky that it happened when it did." She said the firefighters were fantastic. "These things can spread so quickly and there is of course so much combustible material in a library. They worked really quickly and professionally to make sure the fire didn't spread. They spend a long time using specialist equipment and a thermal imaging camera so that they were sure the fire was out." 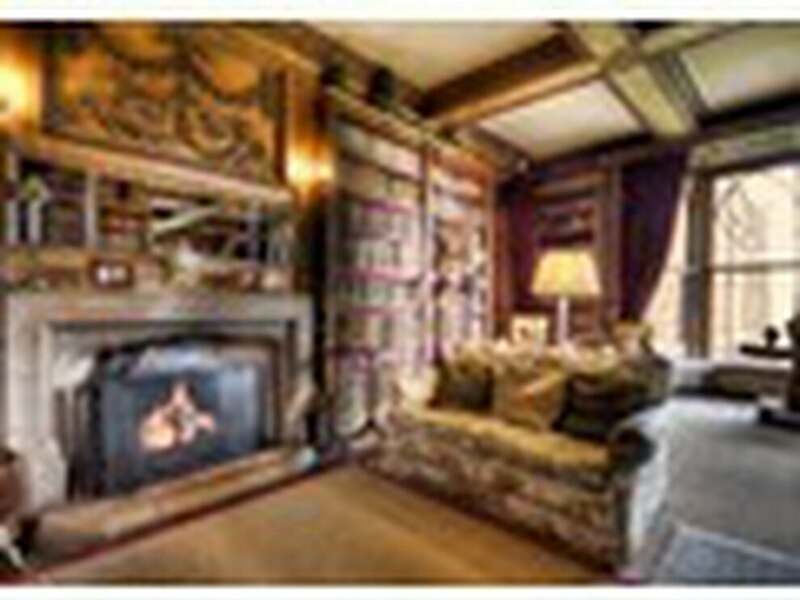 "Brynkinalt Hall has been home to the Trevor family since it was built in 1612 and the library was redesigned in the 1800s. There are some incredibly old books in the library, a lot of history and family history that simply can't be replaced." "Generations of Trevors and their families have worked hard to maintain the house. We are so grateful to the fire service for their hard work and expertise." "Thankfully there was minimal damage as a result of their swift and thorough response." Chief reporter of the Oswestry/Mid Wales office. Keen to hear your news.